If you’ve considered skydiving, you’ve probably pondered what the experience will feel like. You’ve spent a significant amount of time pouring over the internet, tapping any and all resources to try and prep yourself for the big day. Watching hours of YouTube skydiving videos? Check. Interviewing friends and family who made the leap? Check. Reading through blogs to garner as much information as you possibly can? Double check. From your tireless investigations, you’ve got a sense of what to expect, you imagine skydiving will be exciting, adrenaline pumping, loud, windy, epic! These are fair (and fairly true) assumptions. 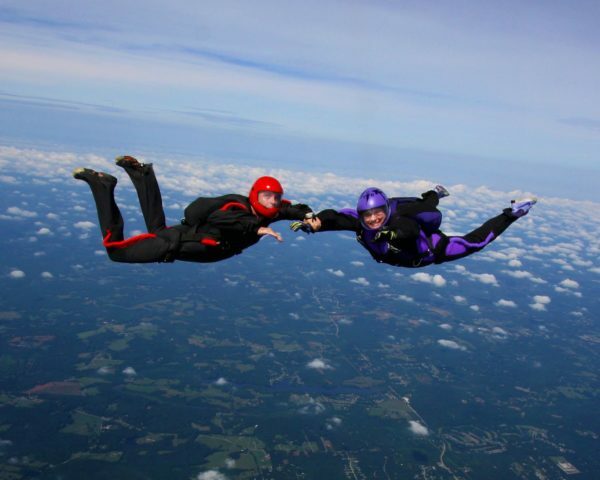 Your first-time skydiving will be completely different from anything you’ve tried before. Sometimes it defies explanation and words are hard to come by (we’ve heard the phrase: “it’s indescribable” uttered by a customer more than a time or two). 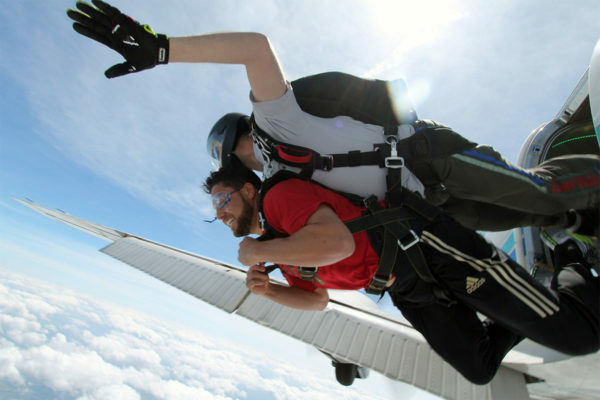 At Skydive Monroe, we’ve been around a while, and we are well equipped to help you prepare for what you do expect on a skydive and what you don’t. Here’s our top three. Surely, nothing would be serene about reaching terminal velocity. After all, you’ve seen the skydiving videos. You’ve heard the ‘hoots and hollers’ as someone leaves the airplane. So, it’s not wild leap to guess that the skydiving experience is a real rush: a heart thumping, titillating time. Initially, this may be true, but many are left so in awe of the experience they feel a complete sense of calm, peaceful bliss. Often under canopy, suspended far above the troubles of the world below, some feel so comfortable that they look to the sky as their second home. These jumpers become part of the roughly 100,000 active skydivers in the United States today. If you find yourself amongst the many absolutely love the experience, you can learn to skydive through our AFF program and enjoy the experience time and time again! Yes, you’ve left a plane from nearly 14,000feet, which definitely beats even the most epic of rollercoasters in the world (the tallest rollercoaster title currently being held by the Kingda Ka at the Six Flags Great Adventure in New Jersey with an impressive 456’ drop). But here’s the kicker, you don’t feel like your falling at all. On most roller coasters, you feel a “dropping” sensation. This is because you’ve gone from 0-60 as it were. On a skydive, the plane you ride up in has an established forward speed of around 90 mph. On a skydive, you’re not starting from 0 as it were, rather you’re starting from 90. On your skydive, you’ll exit the aircraft and within ten seconds accelerate to reach terminal velocity at around 120mph. This is the fastest speed you will reach. At this point, the resistance of the air particles against your body creates the sensation that you’re floating, suspended on a cushion of air. You’re not falling, you’re flying! On a skydive, there is, undoubtedly, a physical shift in perspective. You’re viewing the world from a “birds-eye view.” From this vantage point, you are able to take in some of the most inspiring, rare views in the world. What’s also interesting is that this physical shift in perspective encourages a mental shift as well. 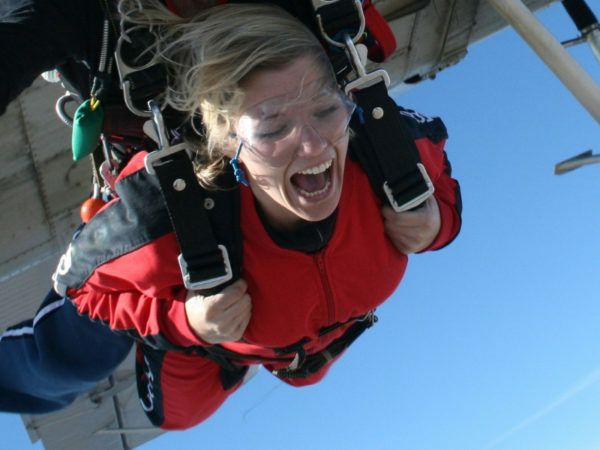 After you complete your first skydive, you feel empowered: you can handle anything. You took your fear, put it in its place, faced it, and succeeded. This reminder of your innate ability to rise to a challenge is incredibly powerful. Don’t be surprised if you see this shift in perspective occurring in other areas of your life. Ready to see for yourself? Come test out your expectations at Skydive Monroe today!